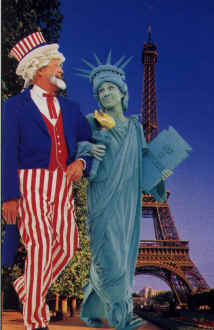 Uncle Sam escorts Living Liberty during Details Magazine photo shoot. How do you catch the viewers attention and get a message across at the same time? They'll do a double-take when they see Living Liberty taking liberties!